In 1960 the Supreme Court (Flemming v. Nestor) ruled, “that no one has an accrued property right to benefits from Social Security.” Contributions are now taxes with an indirect correlation to benefits. With Social Security the government is the insurer holding all the power. Social Security is nothing more than a government promise that can be unilaterally modified or broken. The government has made many modifications since 1935. There is a “Social Security Trust Fund” which many feel has been raided. While there may be a fund, allegedly $2.6 trillion, it consists of Treasury IOU’s. It was great for the government when the amount of social security taxes collected exceeded benefits being paid. Today baby boomers are retiring at a rate of 10,000 per day and benefits paid exceed current taxes. The government must borrow to make up the difference – in addition to the normal government borrowing to support their deficit spending. US government debt roughly doubled from $10 to $20 trillion from 2009-2016. Debt will continue to escalate unless there are radical changes in taxes and spending. Raising taxes and cutting spending is politically unpopular, creating class warfare, while politicians pander to their political base. Young people today must understand what Social Security is, and is not. A portion of their salary will be taxed, with a government promise to pay them benefits for their lifetime once they retire. How much those benefits will be, when they can retire, and the correlation of benefits to their personal wealth is undetermined. Workers will probably get something; however it’s likely the promises will be modified many times. The government will jerk them around like The Wild Mouse roller coaster before the end of their ride. Benefits are nothing more than political promises. Yahoo Finance published the First Draft of the GOP’s Plan to Overhaul Social Security. Rep. Sam Johnson (R-TX), Chair of the House Ways and Means Subcommittee on Social Security, drafted the plan and has now introduced it as a bill. Remember a camel is a horse designed by a committee. A bipartisan committee of politicians produces a camel the size of a giant blow up balloon in a Macy’s parade! It is jam packed with compromises to satisfy everyone to the point it is unlikely to come close to the original objective. Gradually increasing the retirement age for full benefits from age 67 to 69. Adopting a less generous Cost of Living Adjustment (COLA) Formula. Means testing, reducing benefit payments to wealthier retirees. Eliminate COLA increases for wealthier individuals. Increase the minimum benefit for lower-income workers. The government is broke and eventually changes will be made. Everyone will bear some burden of “entitlement reform.” Young workers will see higher taxes. Increasing benefits for low-income workers, benefits based on means testing and eliminating COLA adjustments for wealthier individuals is turning Social Security into a wealth redistribution program. Inflation – the elephant in the room! The impact of COLA changes will have major negative effects on baby boomers and retirees. Prior to the high inflation Carter presidency, retirees had a fixed monthly check. Congress occasionally voted to increase benefits. The elderly cheered – the benevolent Uncle Sam gave them a raise. Historically the increases did not come close to keeping up with inflation. Future inflation risk cannot be accurately calculated. During the five-year period, 1977-1981, accumulated inflation amounted to 59.9%. If a person retired on 1/1/77 and received $1,000 per month, five years later they would need $1,599 per month to have the same buying power. Will we experience high inflation in the future? The way the government is creating trillions out of thin air, there is a high probability. No worker, young or old wants to bet his or her future financial survival on low inflation for the next several decades. Inflation is the government’s friend and stated goal. They want inflation to sneak up on seniors, unlike the double-digit increases like the Carter years. The deck is stacked. Younger workers will find their taxes increasing and their retirement date pushed back, while seniors and savers will see reduction in the buying power of their benefits. What’s missing from the plan? If the Hon. Representative Sam Johnson (R-TX) wants his bill passed he needs more public appeal. How about a provision calling for immediate elimination of all pensions for current and former federal elected officials? Congress should be on Social Security, just like the rest of us. The public is fed up with the elites. Put all elected officials under Social Security and Medicare like most Americans and then address changes. While it is fun to dream, putting congress on the same plan with everyone else is for our emotional benefit. The system is broken and expecting politicians to fix it is foolhardy. What should all workers do now? 1. Recognize Social Security for what it is and work around it. Social Security was designed to provide supplemental income for retirees based on their income. It’s now another typical government “entitlement program” redistributing the wealth of the nation. The working class may end up with something; however the benefits will have little correlation to your contributions. 2. Maximize your savings, particularly your 401(k). Workers cannot depend on Social Security to protect their lifestyle. The proposed changes are designed to punish savers; the wealthier you become the more your benefits will be reduced. Workers will have to go head on into the incoming tide and move forward. Maximize your savings in 401(k) type accounts – particularly if you have some sort of employer matching. You have the benefit of reducing your current taxable income and accumulating wealth on a tax-deferred basis. 3. Invest your 401(k) wisely. Having your investment income tax deferred is a good benefit but only if you grow your wealth. Don’t just make contributions and ignore where it is invested. If you need professional help to guide you, it is money well spent. 4. Increase your inflation hedge. 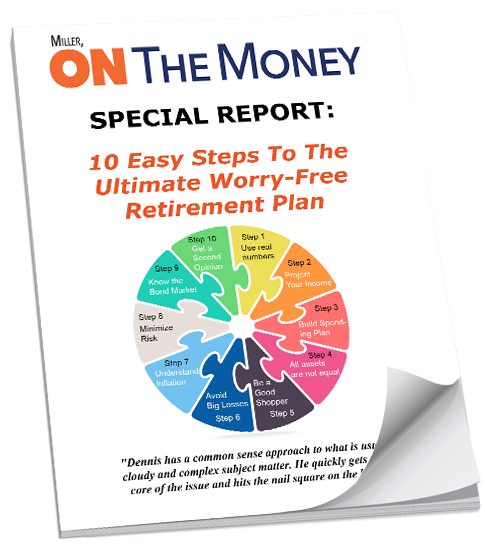 The most buying power a retiree will have will be their first monthly check. By design, the buying power of each additional monthly check will decrease. For the “wealthy” the process will be faster. In addition to maxing out your 401(k), continue to regularly buy gold. Only Gold provides historical gold prices. On 1/1/77 the gold price was priced at $133.77/oz. On 12/31/81 the price rose to $400/oz. During the Carter years gold almost tripled in value, appreciating well ahead of the inflation rate. Buy and accumulate well past your normal retirement age. Your social security check will not keep up with inflation. Eventually retirees will have to sell small amounts to make up the difference to pay the bills. 5. Think before deciding to defer benefits. The government offers higher benefits to those who defer taking them when they are eligible. Making the wrong decision could cost thousands of dollars. The decision about when to draw benefits is different for each individual. Not only do you need to “run the numbers”, realize you are making a bet with the government on how long you will live. How much do you trust the government not to change things? 6. 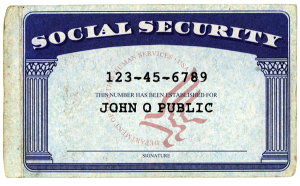 Can Americans really depend on Social Security? It depends on your definition of depend! 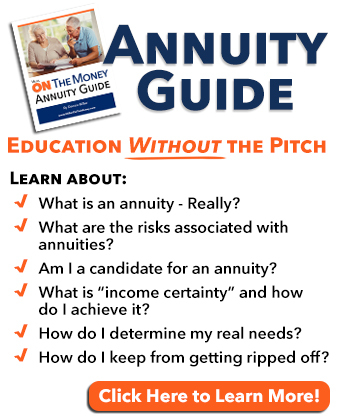 Retirees need “income certainty” – having enough money to pay the bills regardless of what happens in the markets, inflation increases or any other unexpected economic changes – without having to worry. Should means testing and reduced COLA adjustments become part of the revision, income certainty will be replaced with worry. Retirees can depend on the government to send them something every month, but they cannot depend on it to continue to pay all the bills it may have covered in the past. 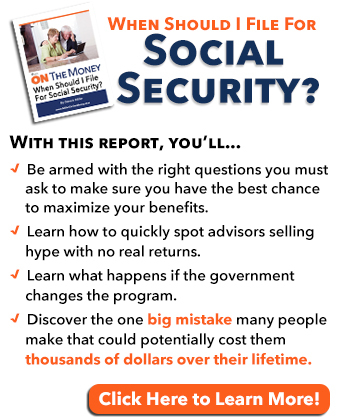 We have updated our FREE report, “An Honest Person’s Guide to Social Security”. Click HERE for your free download. You will find information your financial advisor is not likely to tell you. Note to existing subscribers: You should have already received an email with the link to the revised Guide. If for any reason, you didn’t see it, send us an email and we’ll make sure you get a copy. Last weekend much of the country experienced some very cold weather. Baseball fans can take pleasure in the thought that teams will be reporting for spring training in approximately one month. Last week Congress ratified the Electoral College vote tally. Soon the inauguration will be behind us. Hopefully all the nonsense will stop. I’m seeing surveys showing the vast majority of Americans are fed up with the constant bickering and want the government to get focused on solving some of our nation’s pressing problems. Amen! It will be interesting to see if Congress makes an honest attempt at fixing Social Security. Unfortunately the political class is generally more interested in pandering to their respective political base than working together on behalf of all the American people. Feel free to forward this week’s article to anyone who you feel may enjoy it. When all the political melodrama is done, the ultimate solution will likely be cutting benefits, move the retirement date back and raising taxes. All generations need to understand what is going on and get serious about funding their own retirement. HORRAY! Finally, someone at least mentions the idea of congress participating in Social Security! Makes sense to me. How about term limits also? Our forefathers thought giving a few years to run the country patriotic. They never pictured lifetime jobs! Or all the benefits of staying forever. Or retiring to become a lobbyist, like their friends! If the Trump administration did nothing else but pass Congressional Term Limits, I would call it a success. The power of senior members of congress was never anticipated by our founding fathers. I tell my Illinois friends, think of having to get in a coach, or on a horse, and having to ride to Washington to serve your country. You would be away from your family for months, with very little contact. Indeed it was a sacrifice. The idea of career politicians was something that likely never entered their mind. I just met with my financial advisor last week and asked about putting some of my retirement into gold. He advised against it although I don’t remember his exact reasoning. I don’t understand much when it comes to the financial side of life as far as planning for retirement and how our accountant said we made $2000 when we sold our rental townhouse for $15,000 less then we paid for it. How can I tell if my financial advisor is doing what he’s supposed to be doing? Besides the obvious of my 401k growing. I am required to tell you I am not licensed or qualified to give individual, personal investment advice; however I can talk generally. Your comments are very common; particularly when it comes to gold. I can’t tell if your advisor is doing what he is supposed to do; however I can tell you what to look for. When it comes to retirement money, the first concern is preservation of capital. Once you quit working you don’t have the ability to take a paycheck and continue to pay your bills while you wait, and hope for a market rebound. Second you look for safe – decent yield; something that is not currently available in the bond market. Why do I feel the bond market is not safe? High yielding bonds are much too risky for default. There have been many articles written about how the rating agencies are not doing their job and giving some bonds higher ratings than they deserve. Lower yielding bonds like treasuries, or Certificates of Deposit carry a great deal of inflation risk. As you saw in the article about Social Security, inflation is the elephant in the room and can wipe out the buying power of a nest egg pretty quickly. Just look at what happened during the five year span in the Carter years. I go into some detail about this in the free social security report. Once buying power is wiped out, it is very difficult, if not impossible for retirees to ever earn it back. I look at the big picture much differently than a lot of financial advisors do. I lived through the Carter years and saw what inflation did to my parents. I would suggest you ask the advisor what is being done to protect your portfolio against high inflation. Can they guarantee that, for the rest of your life, we will not experience high inflation like the Carter years or worse? What happens to the buying power of your money if that comes to pass? If they tell you they have invested in Treasury Inflation Protected Securities (TIPS), ask how that protects your entire portfolio. TIPS, by design, do not grow faster than inflation so only your investment in TIPS is protected. They do no good for the rest of your nest egg. Some financial advisors confuse gold with gold stocks which carry a lot of risk. I hold gold, which I refer to as core holdings, as an insurance policy and hope I never have to sell it. It has a history of growing ahead of inflation, just look at the Carter years as an example. This is were a lot of people get confused. If my gold goes up or down 10%, I don’t really worry. It’s not an investment that I use for yield, or hope to sell down the road for profit. Core holdings are insurance you hold to protect your nest egg from the ravages of high inflation. Much like a fire extinguisher, you hope you never have to use it. Gold stocks are different and carry a great deal of risk. 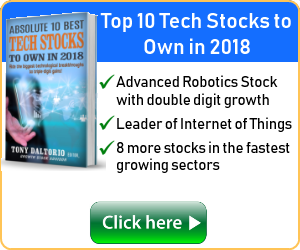 Investors may buy and sell them just like they would AT&T or Coke; meaning they are buying them for dividend income with the intention of selling them down the road for a profit. Bottom line is this. When I suggest readers own gold, it is for insurance purposes. High inflation can take a nest egg down to worthless pretty quickly unless some of it is invested in assets that grow ahead of the inflation rate. If you are convinced that your financial advisor has adequately protected your portfolio, then you are fine. If not, then you need to discuss the possibility. 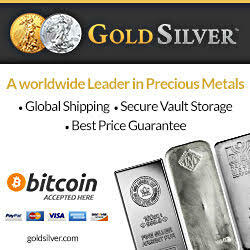 You may have to give up some income because gold does not pay dividends etc. Note the response to the reader C. Holden. The government is trying to inflate their way out of debt and retirees are not exempt. Our social security income has gone down despite COLA adjustments. Your financial advisor may be doing a terrific job; however part of their job is educating their clients. Your fears are real and genuine, you have much to lose if they make a mistake. Don’t ever be afraid to ask questions, nor should you ever feel put down. You are the client and it is your life savings that you are concerned about. Thank you for acknowledging the theft of $2.6 trillion dollars from the Social Security Trust Fund. Is there anyway to get Congress to act to restore these funds — the required investment paid by millions of senior Americans towards their retirement days? The Social Security Trust fund is basically government bonds, IOU’s. There is no way they can restore those funds because they do not have the money, it has been spent. One popular theory is LBJ was the president who dipped into the fund to pay for the Vietnam War and his Great Society without having to raise taxes. Of course congress had to go along with it and they have been kicking the can down the road ever since. If a private annuity company did that, a lot of people would be in jail. At this point, Social Security is a nothing more than a government promise. For what it’s worth, I entered our Social Security deposits in our checkbook today. After the COLA adjustment for 2016, our monthly income dropped $10. We have not seen an increase in five years. While they discuss COLA increases, they are raising medical premiums at a higher rate. Inflation is already eating away at our buying power. That’s why I wrote the article. I doubt there is much we can do, the government will have to continue to borrow money to make up the difference between revenue and promised benefits. That is why it is so important for everyone to understand what is going on and try their best to work around our government. I just started receiving your letter. I did so because I saw the article on social security and that piqued my interest, having retired from SSA after a 30 year career. All that you said about that program was factual. Of course no once can predict the future, so how it will survive remains to be seen. But you erred with respect to the Congress and social security coverage. The law that the Congress be covered by social security was passed during the Reagan Administration as part and parcel of a number of social security amendments. Today, the only congress(wo)men not covered by social security would have been in office when the bill was passed and elected to remain under the old system. So both senators and representatives pay into social security if elected after 1984. All feedback is appreciated; particularly if I am incorrect. I saw an article today about the retirement plan for both Obama and Biden. Biden’s retirement income from congress was purported to be something over $300k annually. Was he grandfathered in? Do new members of congress get the special retirement benefits on top of social security? The Congress grouped itself under the same system applying to all federal employees: The Federal Employees Retirement System (https://www.opm.gov/retirement-services/fers-information/) that is hybrid of Social Security, a 401k-analog, and a supplemental pension plan, less generous than the prior Civil Service Retirement System under which Joe Biden probably benefits. But presidents come under a different, much more generous system called the Former Presidents Act. Thank you for the explanation/information.